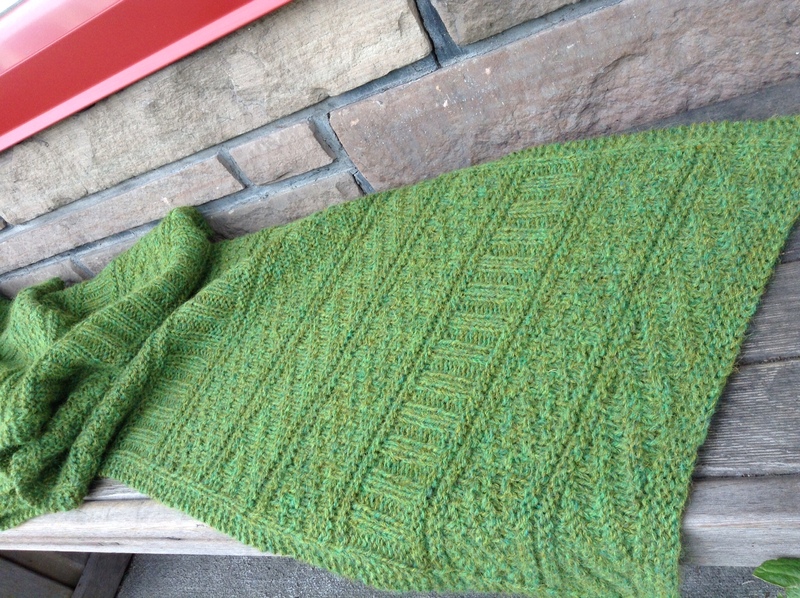 Last night we finished our Guernsey Wrap and blocked it at midnight! 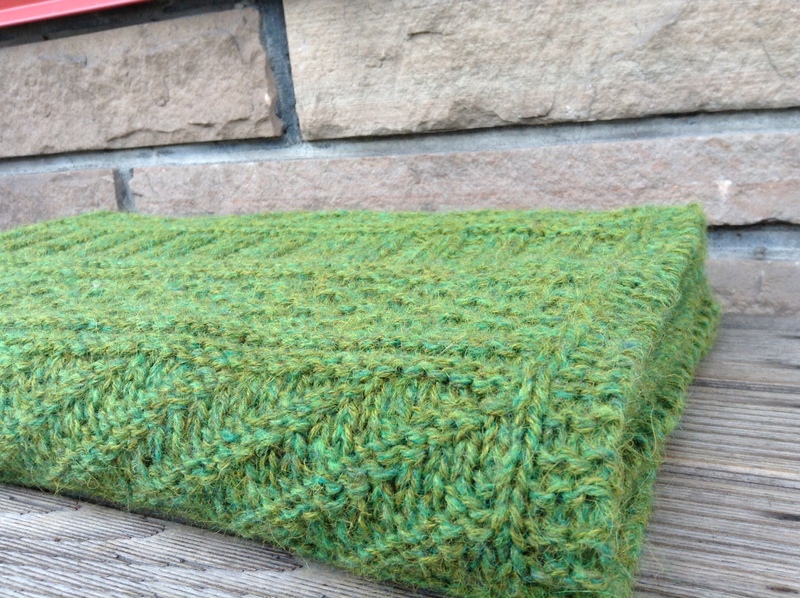 This morning it was dry (thanks to the light and airy Shetland) and ready for the shop. 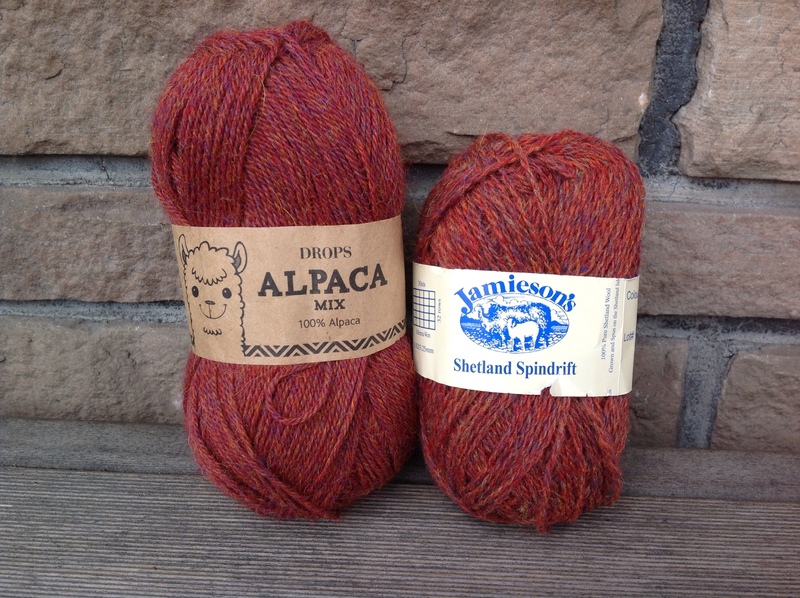 Our yarn "mix" of Drops Alpaca and Spindrift Shetland takes advantage of the weightlessness of shetland and the softness of alpaca to create a fabric that is light and springy with beautiful stitch definition. This was such a fun project. 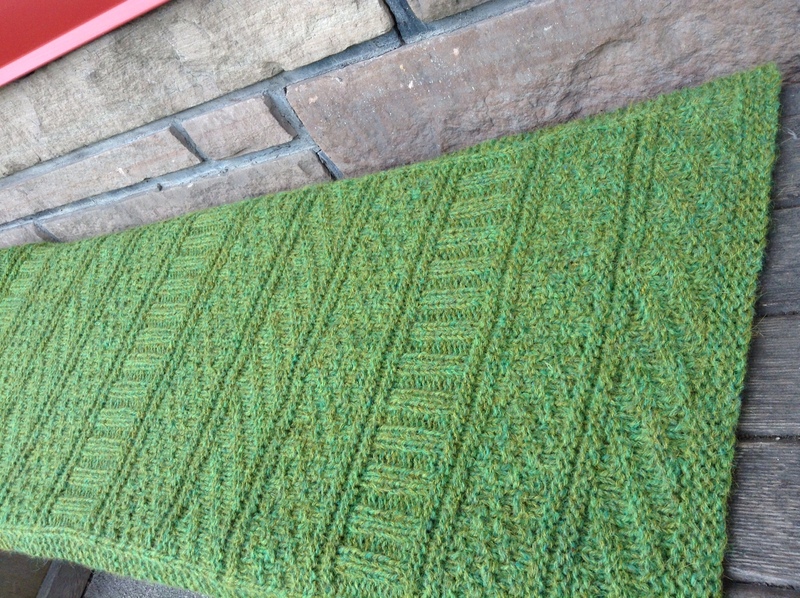 Pattern repeats were easily memorized and the evolving shaw was beautiful even before blocking. 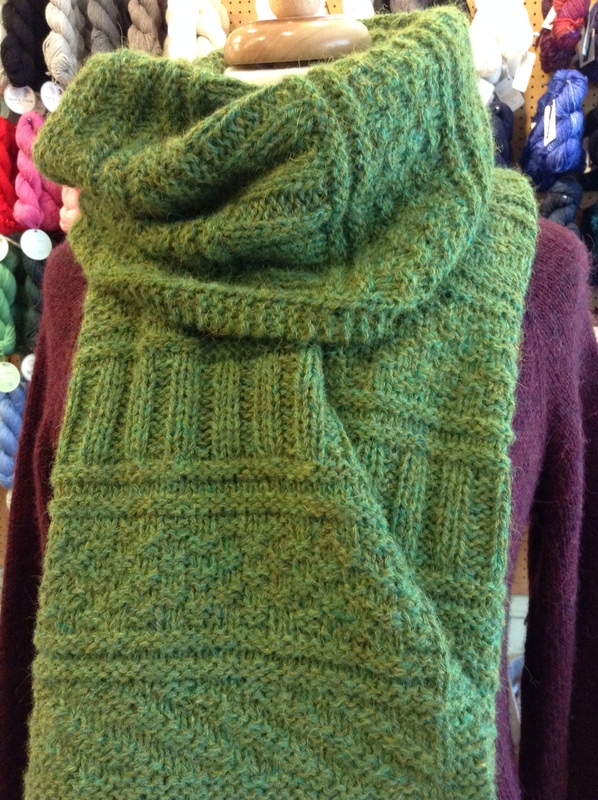 The completed Guernsey Wrap used 4 skeins of Drops Alpaca in "Dark Olive Mix" and 6 skeins of Spindrift Shetland in "Leprechaun". Check here for our project notes on Ravelry. 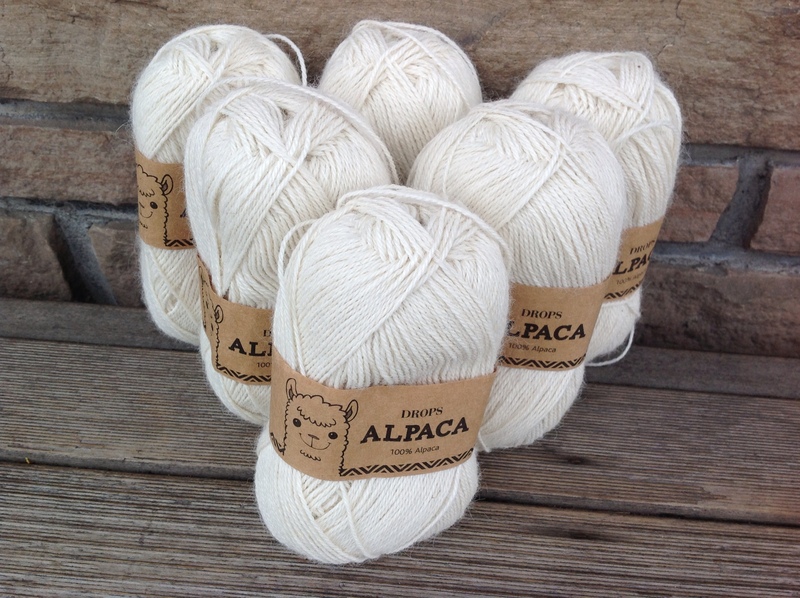 We're already planning another version in "Paprika" . . .
. . . and a baby blanket using two strands of cream coloured alpaca. We'll be doubling the width of the Guernsey Wrap and knitting just enough pattern repeats to make a square for a traditional aran-style blanket.